Last week, BART management and union leaders came to terms after negotiations that started April 1. A tentative contract between BART managers and union members that took about four months to plate will be put to a vote today. Members of BART largest union, the Service Employees International Union Local 1021, which represents about 1,500 mechanics, custodians, safety inspectors and clerical employees, will vote from 8 a.m. to 7 p.m. today at the Marriott Hotel in downtown Oakland. Jesse Hunt, the president of BART's second-largest union, Amalgamated Transit Union Local 1555, which represents about 900 train operators, station agents and power workers, said he tentatively plans to have his members vote from 10 a.m. to 10 p.m. Monday at a union hall at 8415 Enterprise Way in Oakland. However, Hunt said there's an outside chance that the vote could be delayed if the details in the contract's language aren't finalized by then. Last week, BART management and union leaders came to terms after negotiations that started April 1. The offer saves the transit agency more than $100 million but keeps jobs intact and changes work rules. If the unions approve the plan, the BART board will then have the final vote. 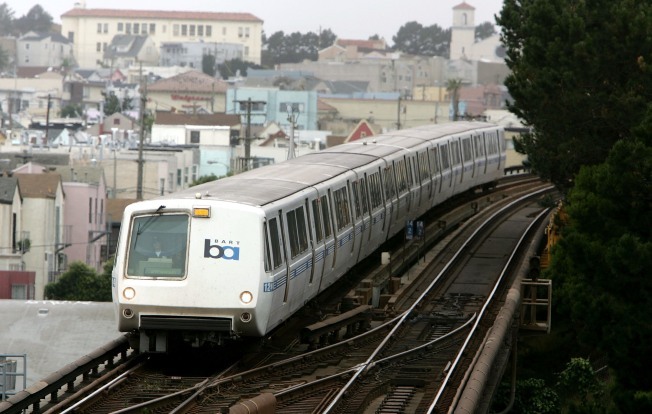 BART is continuing to negotiate with its two police unions, which by law cannot strike.